Player Characters in Rogue Trader are supposed to be awe-inspiring, charismatic and imposing leaders, capable of commanding those around them with a single word. 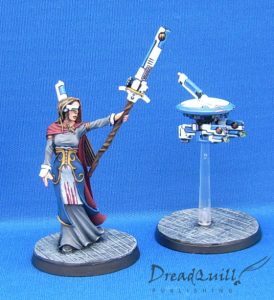 Although they are powerful individuals, they are not capable of doing or knowing everything at once, and often need to rely on the specialised skill sets of those around them – Dominique the Xenoarcanist who is adept at capturing and studying xenos beasts, or Jamascus the cartographer who assists the Navigator with the creation of warp charts. Retinues are a useful way of improving a small gaming group’s pool of skills without forcing players to spread their experience too thinly. 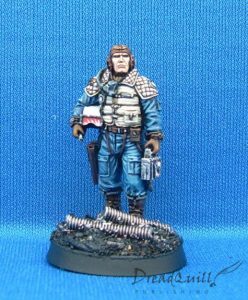 They also provide a host of modelling opportunities as players fill the ranks of their own personal crews with weird and wonderful conversions. As always, it is down to the GM to be a final arbiter of what can or cannot be in a retinue. How often do you find yourselves without a pilot? 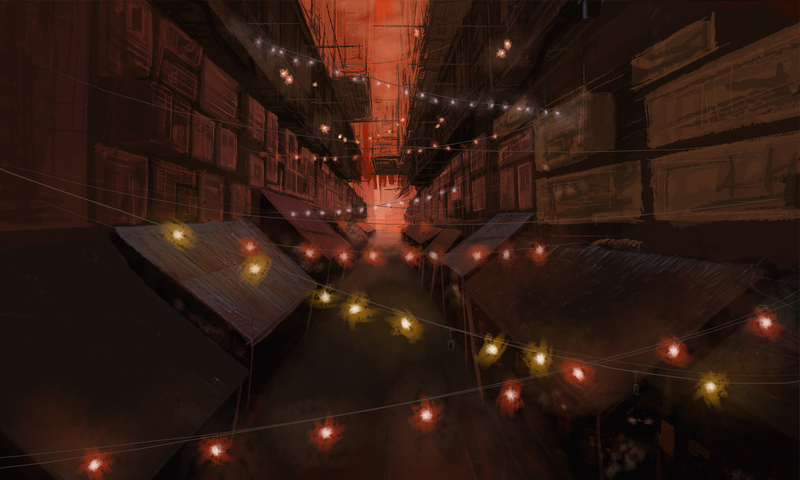 Retinue are drawn from the crew, or awarded narratively for good roleplay. They are individual characters in their own right, but do not gain experience or play a major part in the story. They are part of the Player Character’s entourage, and do very little outside of what the Player Character requests of them. They are utterly loyal to the Player Character, and will carry out their orders without question (although sassy remarks are encouraged for tricky requests). During Combat situations, the Player has direct control over their active Retinue. You may have up to your Command Bonus or Fellowship Bonus (whichever is higher) in permanent Retinue members. You may only take half of your active Retinue at any one time. The rest must stay in their quarters aboard the ship tending to their duties. You may recruit any number of Retinue (up to the maximum as stated above) from your own crew for free, or they can be awarded by the GM for good roleplaying. This could be anything from allying with a faction who grants you a bodyguard as a sign of good faith, or a contact whom the Player Character has treated so well they request to join their entourage permanently. If a Retinue member is drawn from the ranks of the crew, all their stats will be the same as the current Crew Rating. With a Common Quality Crew Rating, this will mean all their stats will be 30. If a named NPC is joining a Player Character’s Retinue, it is up to the GM to create their stats, skills and equipment that they feel would be appropriate. A freshly recruited Retinue will have baseline stats as described above and only untrained Basic skills. To represent their particular area of expertise, they begin with any one skill Trained to +10 for free. To use the examples earlier, Dominique the Xenoarcanist starts with Forbidden Lore (Xenos) +10 and Jamascus the map-maker starts with Trade (Astromancy) +10. 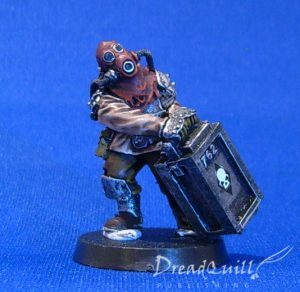 To use our ongoing examples, Dominique might begin play with dozens of volumes of xenos beasts, and Jamascus would have writing equipment, basic astromancy instruments and a small office to work in. Unless otherwise stated by the GM, all retinue will have two ‘hit points’, foregoing the normal Wounds and Critical Injuries method used by players. Simply put, if the Retinue member gets hit, resolve damage in the normal way (dodging, force fields, psychic powers, reducing for armour, toughness bonus etc). If they take any damage at all after this, they are considered Wounded and are temporarily out of the fight, although they may be helped back up by comrades or tended to by medics afterwards. If they take further damage while Wounded however (such as from a stray grenade), they are dead outright. Barring GM intervention, extensive bionics or dark pacts, the retinue member is struck from the roster. This is to avoid ‘normal’ retinue members simply being a bag of hit points that unscrupulous players can soak up bullets for them. If that’s the type of retinue they want, the GM should encourage them to seek out flagellants, mercenaries or bodyguards, going on adventures and doing the appropriate Acquisition tests to bring them into the fold. 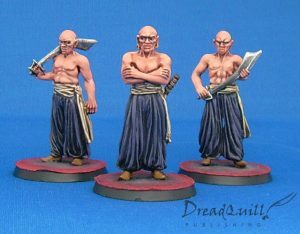 These retinue members are specifically designed to take hits and slog through enemy gunfire for their master, and as such they may have their own Wounds and treated as any other NPC. The ‘Hit Points’ method should only be used for the ‘free’ minions drawn from the ranks of the Dynasty. Players can spend 400 XP from their Player Character to improve the Trained skill from +10 to +20. Equipment can be improved through Acquisition tests and as rewards for good roleplaying. Retinue characters may gain Talented through narrative means, such as training them at a prestigious Schola or acquiring a library of forbidden tomes. The GM should make sure not to make this too easy, but a creative use of contacts and resources coupled with an Acquisition test should be more than enough. 19-06-17: Added a section about dealing with Wounds and injuries.